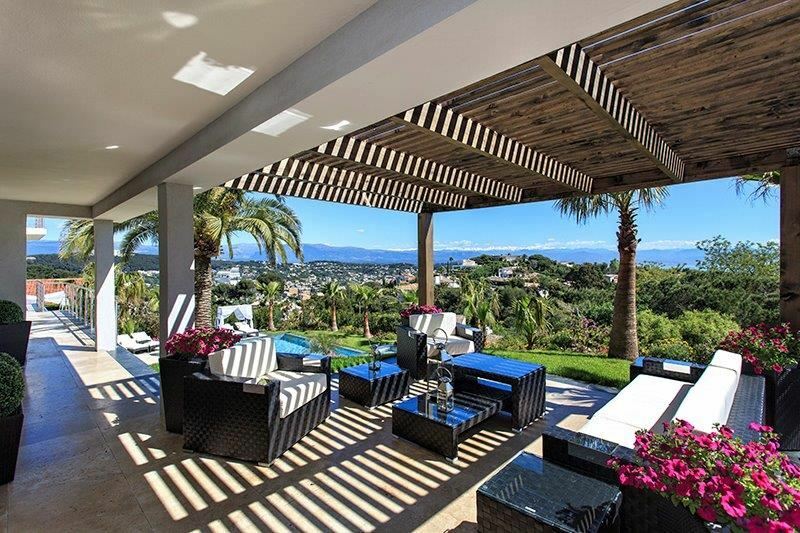 This beautiful villa is situated near Cannes and has been recently renovated to immaculately high standards. The property incredible sea views and large furnished terraces for guests to enjoy the sunshine whilst dining or relaxing. The property comprises of 5 tastefully decorated bedrooms, each with an en-suite shower or bathroom. The living areas are spacious and bright with high-quality furnishings and sophisticated decor. The double reception room features a flat screen television and a dining table to seat 10 guests. Bay windows lead out onto a large terrace. 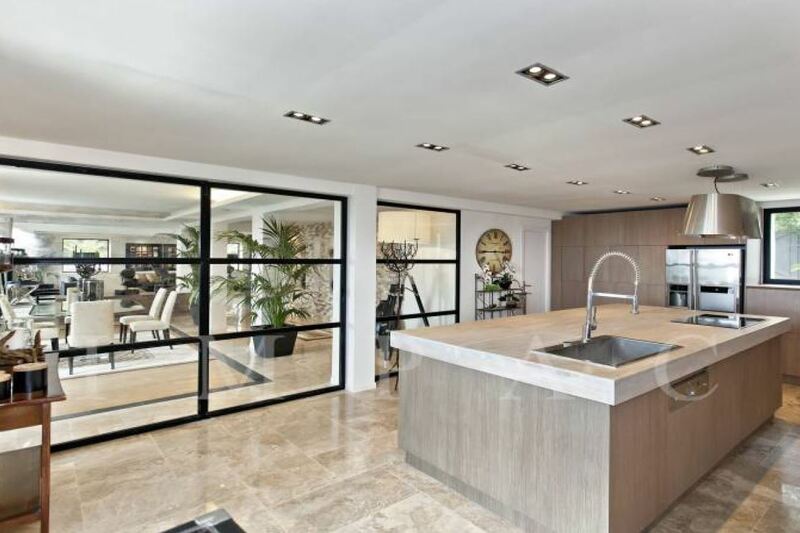 The property also includes a wonderful fully equipped kitchen with a central island. The garden level of the villa features spacious terraces with a pergola, bar and a lounge area for guests to use. There is also a lovely swimming pool, landscaped gardens and a Jacuzzi.